In this article you will get the the best MTS to Apple ProRes 422 converter, this software will help you to to convert Sony, Canon, Panasonic and JVC recorded AVCHD MTS files to Apple ProRes 422 codec MOV format, and then you can import videos to FCP X for editing natively. Do you have a camera or camcorder? Have you recorded some videos with camera and camcorder? 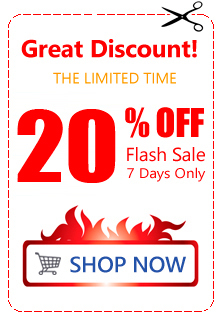 Today cameras and camcorders are cheaper, so there are many people have bought one, maybe you also got one. Sony, Panasonic, canon and JVC cameras and camcorders are very popular on the market, and they can help you to record videos in MTS format or some other formats. In this article we will share the way to convert recorded MTS files to Apple ProRes 422 codec MOV format, and then you can use the videos in FCP X smoothly. Maybe you have recorded some videos in MTS format, and you need to import MTS to FCP X for editing before you sharing with others. But when you try to import MTS to FCP X for editing, you will meet with problems, the FCP X will not support recorded MTS file format. If you have used final cut pro you may know that only few video formats are supported by it, from Apple final cut pro official page you will find the information that Apple ProRes 422 codec is the best native codec for final cut pro X, only with Apple ProRes codec MOV format can you import and edit videos with final cut pro X smoothly. So the best way to solve MTS to FCP X importing and editing issue is to convert MTS to Apple ProRes 422 codec MOV format. Acrok MTS converter for Mac/Windows is the best software to convert MTS to Apple ProRes 422 codec MOV format, with this software you can convert all the HD videos to any formats you need, such as convert MTS to Apple ProRes 422, convert AVCHD to Apple ProRes 422, convert MXF to Apple ProRes 422, etc. it can also convert your video files to DNxHD codec for Avid Media Composer, or convert video to MOV, MP4, AVI, etc. now you can download this best MTS to Apple ProRes 422 converter from the link below. How to convert MTS files to Apple ProRes 422? 1. Free download Acrok MTS converter for Mac from the link, and then install this software on your Mac computer, you will see this MTS converter’s main interface. 2. To load your MTS files to convert, please click add files button to import, you can add batch files at one time, batch loading and converting is supported by this software. 3. 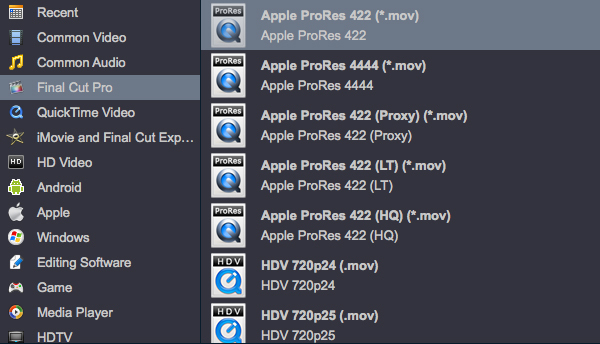 Choose Apple ProRes 422 codec MOV format as output format. Just click the format column and choose it. If you want to convert MTS video to other formats you can choose according to your need, this software has many optimized formats for output. 4. If you want to customize the output parameters, please click settings button on the interface and then you will be available to adjust the bitrate, resolution, frame rate, etc. 5. Click convert button to convert MTS to Apple ProRes 422 codec MOV format on your Mac. Acrok MTS converter for Mac will help you to convert your MTS recordings at fast speed with top quality, when the conversion is finished, you can use these converted videos as you want, such as import videos to FCP X for editing natively. Now you can free download this MTS to Apple ProRes converter and take a try, it will help you.